The type of cancer that is present in the liver is known as liver cancer. In medical imaging, tumors can be identified in the liver organ. 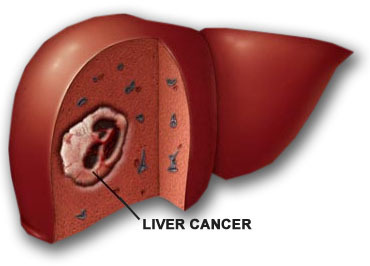 The main cause of liver cancer is cirrhosis. Hepatitis B and C along with Alcohol abuse can cause cirrhosis. Viral infection: The main cause of liver cancer is infected with hepatitis B and C. When these viruses infects, the liver becomes inflammable and then the liver cells disrupts and eventually cirrhosis occurs. There are also many genetic and experiential changes that can be observed during the infection. Cirrhosis: Viral infection can lead to liver cirrhosis. There are also other causes such as alcohol abuse. There are also few disorders that can lead to Cirrhosis such as hereditary hemochromatosis and primary biliary Cirrhosis. Aflatoxin: These are a group of chemicals. They are produced by fungi named Aspergillus flavors. When exposure of Aflatoxin in the liver occurs, this can lead to the development of HCC. There are many things that one needs to focus on while taking care of the liver. The liver is one such organ that can regenerate and it needs time to heal. That is why avoiding the increasing use of alcohol consumption is very necessary. People need to know about the causes and symptoms and that is why awareness is also very important.